The enchanting city of Chiang Mai is known as the rose of the north and has become an increasingly modern metropolis attracting thousands of visitors. It was founded in the late 13th century by King Mengrai and became the ancient Lanna capital of Thailand after Chiang Rai. This awesome city is as energetic as it is diversified and with its up-to-date facilities and plenty of well preserved historic attractions, it'll keep you captivated and fascinated at all times. Why not take a leisurely drive through the country as the roads further north of Bangkok are not nearly as crowded. Not only will you find lots of rest areas along the route, but you will also be able to see the beautiful countryside as you go. If you leave Bangkok in the early hours of the morning, you should reach this northern city around lunch time. The distance is a total of 770 kilometres (440 miles). Should you decide to fly, it would only take you just over an hour to get there, but it won't be nearly as interesting or fun as a good road trip would be. You will notice that Northern Thailand is quite different from the rest of the country as this region gives way to rolling hills, teak forests and fertile valleys. You will get to see more working elephants than rice fields and water buffaloes. The area is only a short stretch from the northern borders of Burma and Laos. The best time to visit Chiang Mai is during the months from mid- November through to mid-February when the air is cooler and the skies are clearer. It can get a bit colder up here in the north during the evenings, though, so don't forget to take a sweater with you. Between mid-February through to mid-June the climate tends to get a little hotter, but the sun is out and the skies are still clear. Though the sun does shine during the months from June to November, the monsoon rains fall sporadically. Nevertheless, it can be very pleasant, albeit under frequently overcast skies. Whatever the weather you can still have a great time here. The photo of myself was taken in September (monsoon season) and as you can see the sun is out (well it was out but not out, if you follow my meaning!) and here I am wearing shorts, sandals and a T-Shirt. Oh! The blue sunglasses I'm wearing are optional. Thai Air International and Bangkok Airways operate daily flights from the Don Muang Airport in Bangkok to Chiang Mai. Flying time from Bangkok is approximately 1 hour and fifteen minutes. There are flights from other domestic and international airports around the country, including Phuket, Koh Samui, Chiang Rai and Mae Hong Son. All the southern flights will stop over in Bangkok before heading north. Exploring Thailand by car can be a very pleasant experience indeed so why not hire a car in Bangkok and drive to Chiang Mai. This could turn out to be a very rewarding trip as there are many historical places of interest along the way. If you have the time, you should stop over in Ayutthaya or Lop Buri, or for that matter, any town that takes your fancy. It will only add to your excitement. 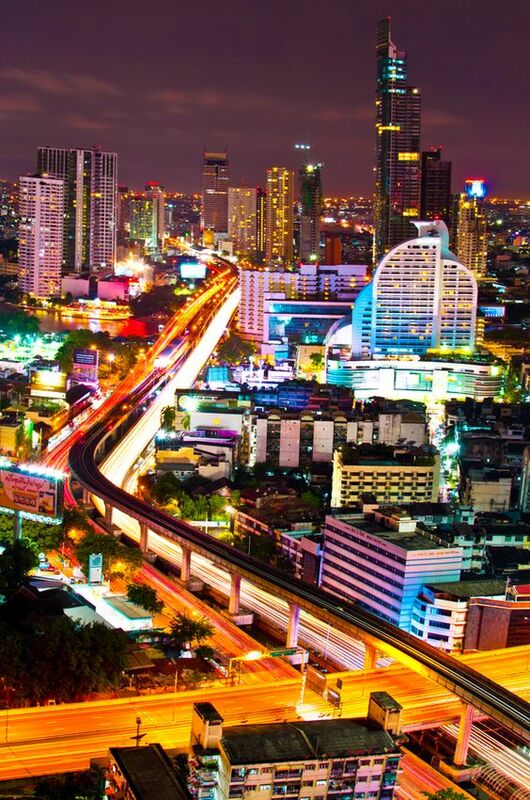 If you decide to travel by road, but don't want the hassle of driving yourself, then an option would be to take one of the many tours operating out of Bangkok. 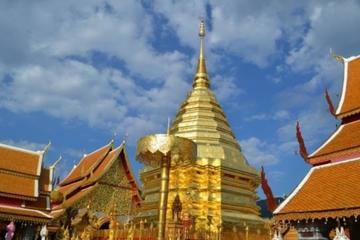 Come and explore the city of Chiang Mai on this 5-day tour. Relax at the ECO resort and see the old town from a different perspective riding through quiet back roads. 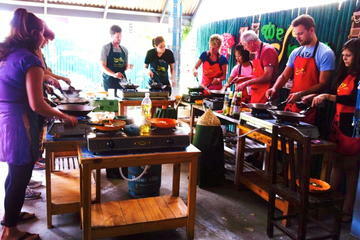 Not only will you have an opportunity to participate in a Thai cooking class and learn how to cook your favourite Thai dishes with an experienced local chef, there are tonnes more activities to indulge yourself. You can also go ziplining should you wish in the treetops of the jungle. Check out more details in the link above. Come and explore the real charm of the northern cities on a 4-day tour full of historical presentations and family-friendly activities. You'll get to see the stunning views and amazing architectures of Chiang Mai's temples as well as a visit to the famous umbrella village. 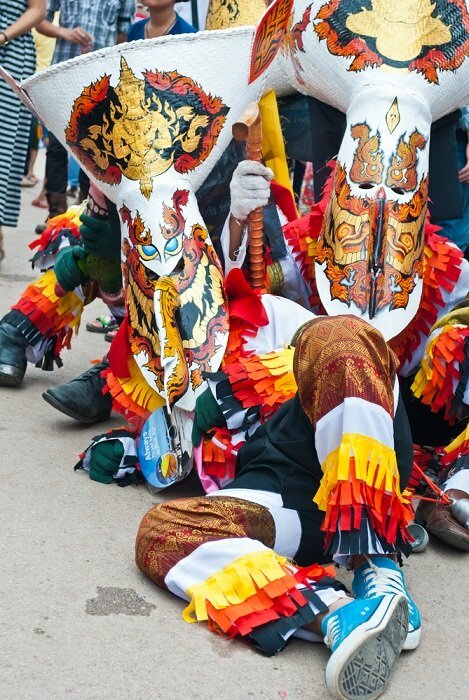 Also with this tour, you'll get a close encounter experience with some of the regions good-natured elephants and a chance to ride on a traditional long-tail boat as well as a road trip to Chiang Rai, where you'll discover the homes and unique lifestyles of several hill tribes. This 4-day tour promises to be an unforgettable adventure. Booking your adventures from this page (at no extra cost to you) would not only allow me to earn a small commission but you'd also be helping me maintain this website so that I can continue giving you a lot more Thailand travel information. See you guys on the inside. I have a very good Thai friend who doubles up as my personal and private driver to take me wherever I want to go in Thailand, so I rarely have to fly internally. Please don't hesitate to contact me should you require his services. Patrick is a Thai national who is both well-mannered and pleasant with a good understanding of English. He will be more than willing to take you anywhere around the country. Patrick is a private taxi driver who operates out of Bangkok. And his prices are exceptionally reasonable and the numerous benefits will, without a doubt, outweigh the excellent service he provides. I refer many of my friends from around the world to take advantage of his services. Patrick will collect you from any airport and take you anywhere and everywhere hassle free. Well worth knowing in an unfamiliar country. Therefore, I shan't give you any road directions from Bangkok as it would be easier for you to get a good map once there. If you would like Patrick to be your driver, then you won't be needing any maps at all. A journey by train in Thailand can be an adventurous experience and this one is no exception, so if not by air or road, this would be an excellent alternative. Train tickets can be purchased from the newly renovated Hau Lamphong Station at Rama IV Road in Bangkok. Trains depart daily at 6:40 am and arrive in Chiang Mai around 7:40 pm. Though the 13-hour train journey north can be quite endearing at times, the fun and adventure of travelling this way are way more rewarding than a quick flight would be. A wise choice would be to consider the overnight sleeper trains which are extremely safe and comfortable. It is advisable to book your tickets at least two days in advance to secure the best seats. I shouldn't have to tell you this, but the first class seats would be your best bet. Trains with 1st class accommodation depart Bangkok at 6:00 pm, arriving in Chiang Mai around 7:00 am with a second train departing at 8:25 pm and arriving at the same destination around 9:00 am. The real beauty of travelling on the evening train, besides it being fun and relaxing, is that you can catch up with some sleep before your arrival on the other side. You'll also have enough early daylight hours to enjoy the ride as you travel the one-mile tunnel through the Khun Tan Hills and on through magnificent rice fields and orchards until the train reaches the terminus. Remember the train journey can sometimes be more thrilling than the arrival itself and this phenomenon I have experienced many times during my numerous travels. My ultimate dream, though, is to travel the Trans-Siberian Express from either St. Petersburg or Moscow in Russia through Mongolia and on to Beijing in China. I am busy negotiating this adventure with a few friends. Not an easy task as many of my friends don't consider these types of experiences. I will go someday soon.